Home > Bars and Restaurants, CT Bars and Restaurants, Experiences, Food, Ribero del Duero, Rioja, Spanish wine, Tempranillo, wine ratings	> Divine Experience, or Happy 15th Anniversary Brasitas! Divine Experience, or Happy 15th Anniversary Brasitas! 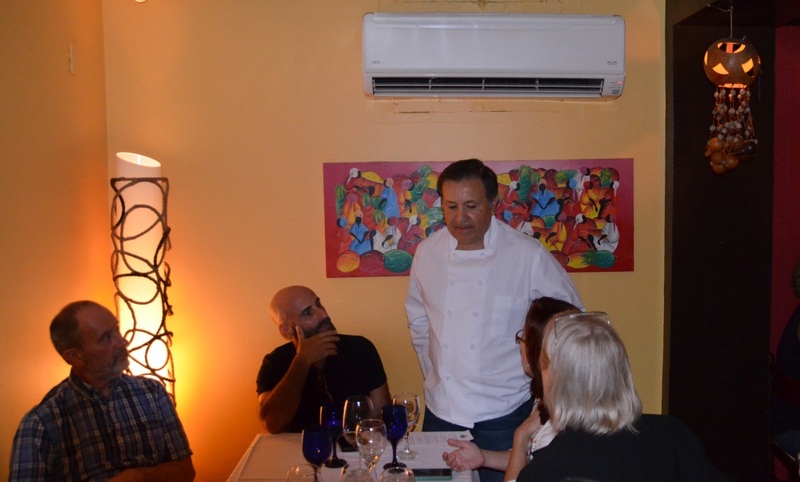 A few days ago I got an invitation to attend the wine dinner at Brasitas restaurant in Stamford, in honor of Brasitas 15 years anniversary. The invitation came through by ways of the Connecticut Bloggers group, run by Wendy and Greg Limauge (if you live and blog in Connecticut, you definitely want to be a part of this group). Now, take your wild guess – do you think I accepted the invitation? 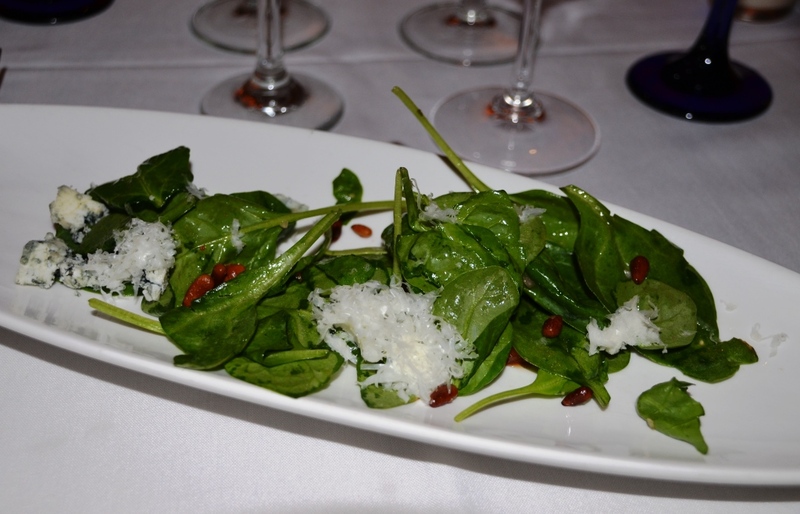 Okay, that was a dumb question, so let’s move on – closer to the great food and wine. I had been to Brasitas a number of times before, and it is safe to say that this is one of my favorite spots in Stamford. Brasitas identifies its cuisine as “Latin Fusion”, and considering the food which is served there, this is a pretty good designation. Now our dinner this time was a special event. 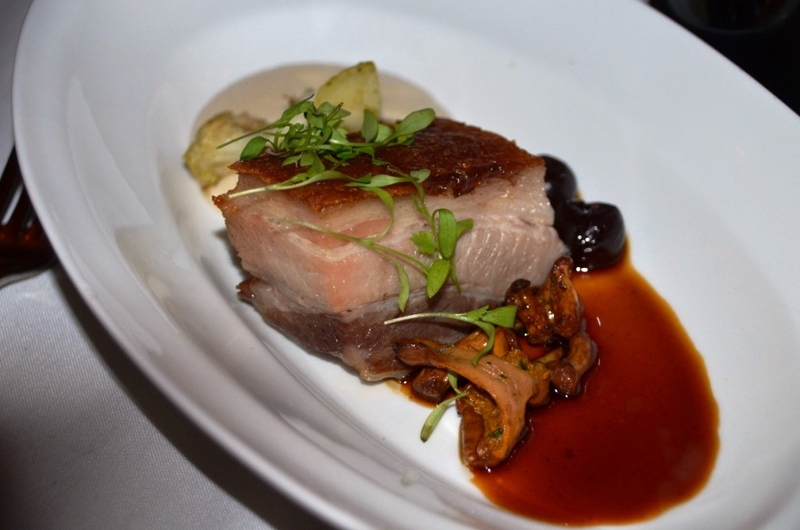 The menu consisted of 5 dishes, paired with the special wine program (courtesy of Brescome Barton, one of Connecticut wine distributors) – so let me share that with you (but please keep in mind that this can make you hungry…). This Codorniu Brut Cava, Penedes had a tiny drop of raspberry liquor, which didn’t change its very dry, austere character of the Cava. It is interesting to note that Codorniu family makes wines for 5 centuries (starting in 1551), and it was one of the first Cava producers in the region in 1872. The caramelized quince provided perfect support for both blue cheese and Manchego, overall creating very nice and refreshing appetizer. Mar de Frades means “A sea that is also a wine” in Galician. 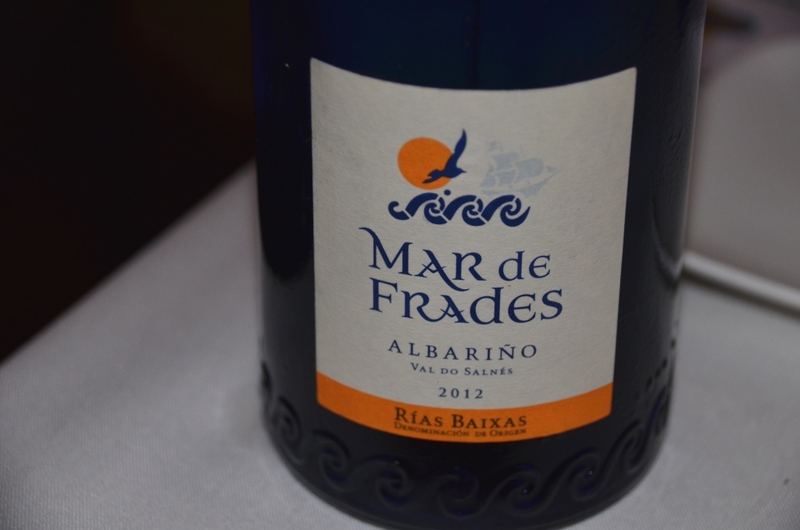 Bodegas Mar de Frades started producing wine in Val do Salnés region of Rias Baixas in 1987. The winery is located in the area where river Umia meets the sea, so you can see this sea relationship perfectly incorporated in the bottle itself. The label on this wine is also pretty unique, showing the blue ship on the label when the wine is at ideal drinking temperature (46F – 50F). 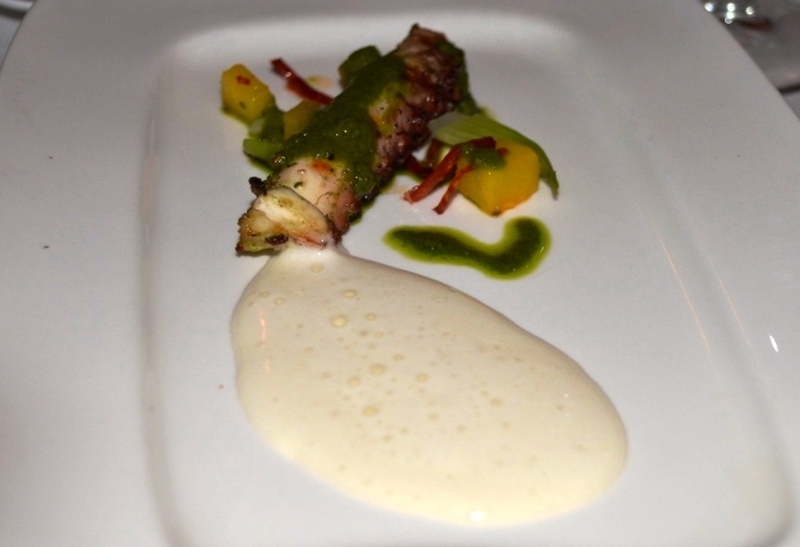 The octopus was perfectly cooked it was definitely the star of the dish ( as expected). I have to honestly tell you that Bacalhau was lost for me in that potato cream, and I would probably appreciate a bit more assertive presence from the chorizo, but overall that didn’t take much out of this excellent dish. An interesting side note – this was a first encounter with an octopus for a number of people at our table – but I think they all happened to like it! How do you think the pairing was? In a word – spectacular! 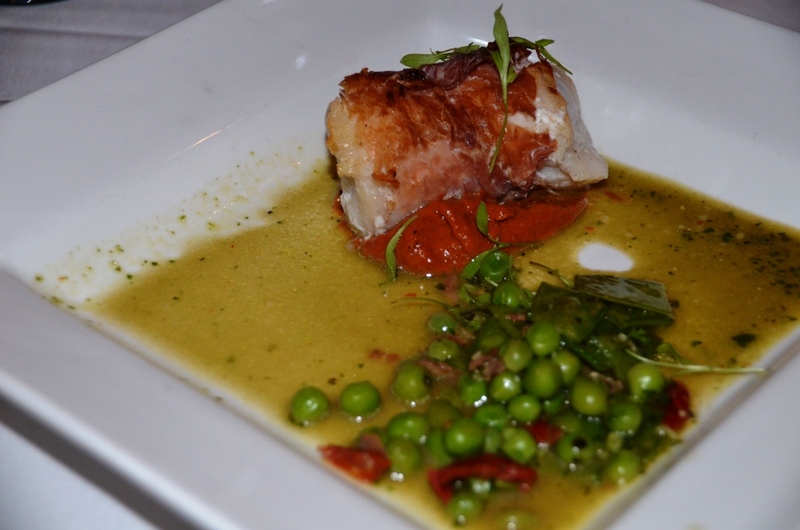 Earthy flavors of the sauce and nice saltiness of the fish wrapped in Jamón Serrano perfectly married the wine! I’m the first to ignore “fish with white…” rule, but in my experience this was the first truly spectacular pairing of such sort which I experienced. Bravo! This was definitely the hard-to-top-off experience, but the next dish was … well, it was not better, but it was definitely on par. This 2008 Cruz de Alba Crianza Ribera del Duero, Spain (100% Tempranillo, 15 month in barrel, 10 month in the bottle, 14.5% ABV) produced by Bodegas Cruz de Alba in Ribero del Duero region. This is relatively young winery, which came into existence only 10 years ago, in 2003. The winery web site is available only in Spanish, so just on my understanding it seems that this is a new venture of Bodegas Ramón Bilbao. In general, the wines in Ribera del Duero are made from the same Tempranillo grapes as the wines of Rioja – but typically Ribera del Duero wines are more massive and concentrated than those of Rioja. This wine was no exception – dark fruit, structure, power, cherries, espresso and dark chocolate on the palate, perfect cut-through acidity, perfect balance. Definitely an outstanding example of Ribera del Duero wine. Drinkability: 8. This dish was a symphony of flavor and texture – succulent meat, the sauce with enough sweetness and acidity, crispy skin – all worked together perfectly. Cruz de Alba Crianza, with its sour cherries profile, was creating a delicious combination. 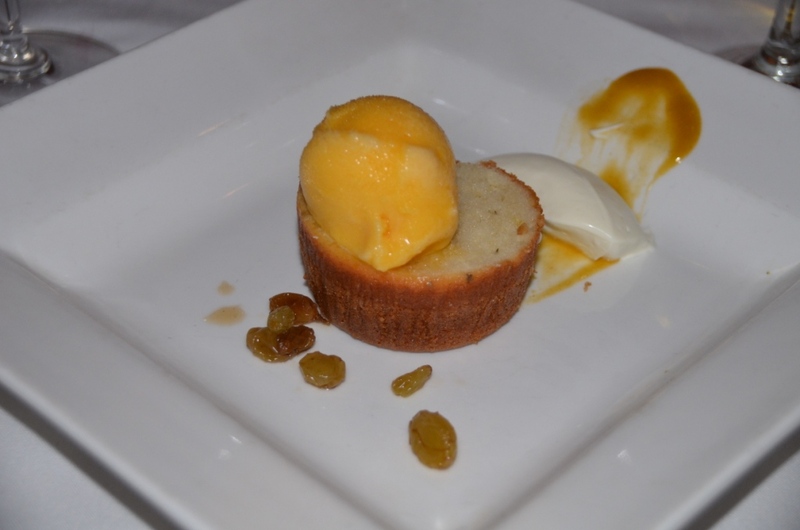 The dessert was paired with Licor 43, a citrus essence with the touch of vanilla, which naturally complemented the dessert perfectly. This was a great finish to the fantastic meal. There you have it, my friends – great dinner, great food, great wine, great company – life at its best. I really enjoyed meeting all the Connecticut Bloggers who came to this dinner – Denise (and Jay) from DeeCuisine, Alicia from Local Food Rocks, Bonnie from Home Place, Greg and Wendy from Connecticut Bloggers – and I hope to seem them again soon. And we are done here. Until the next time – cheers! Disclaimer: I was invited to this dinner as a guest of management. All opinions are my own. The whole meal looks amazing! You’re right, now I’m hungry. 🙂 Thanks for sharing. Sounds like a beautiful meal and a beautiful experience . . . Salud! It was great, yes, thank you! Now I’m hungry, all over again! This was a wonderful anniversary celebration and I’m so happy to have met you. 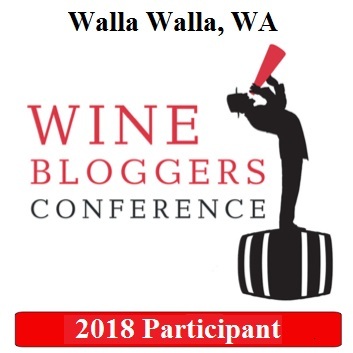 I’m humbled by your wine knowledge. 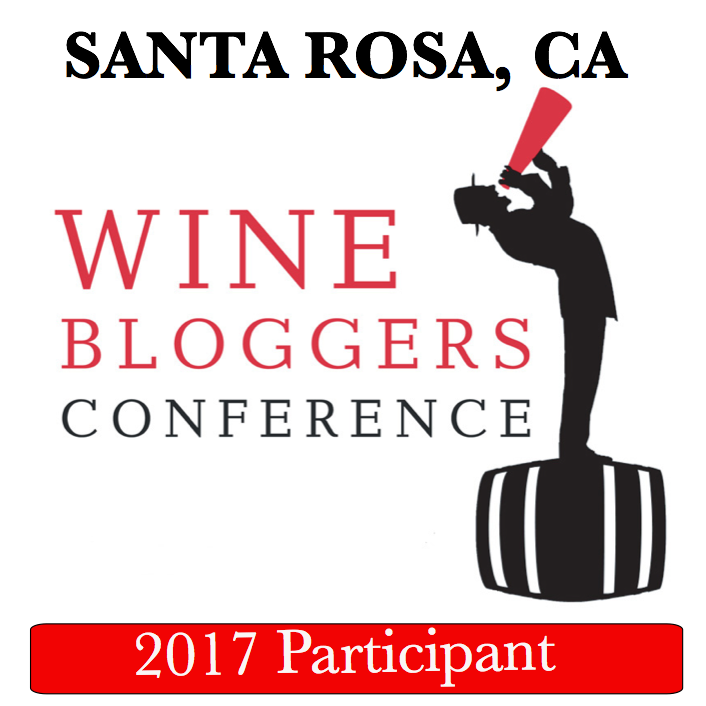 Next time I’m scoring a seat next to you to get the inside scoop on the wineries and regions. Great post! Bonnie, you are making me blush – thank you for your kind words. I really liked your post, as managed also to present the whole place, not just the food as I did. Hopefully will share the table again in the near future! The dinner looks fantastic 🙂 Would love to eat there some day. Cheers! As far as I’m concerned, Rhode Island is a friendly neighbor, so why not! No, I don’t know of Rhode Island bloggers group, but may be someone else does – you can ask to join our group on Facebook, there are lots of people who might simply know the answer. That meal sounds fabulous. What a neat experience with the food and wine pairs. No wonder this is one of your favorite restaurants. Thank you for sharing it! Thank you for reading : ) ! Anatoli, what a fabulous meal and experience altogether! Everything looked and sounded delicious.